Mild Steel Fabrication - Under Pressure Tees, Tapping Saddles and Encapsulations - CASCADE PLC - The new home of Cascade Clamps UK Ltd, Suppliers and Manufacturers of pipe fittings to the water & gas industry. Mild Steel Under Pressure Tees, for tapping and drilling to suit pipe sizes from DN200 to DN2000 with PN16, ANSI, BS Table D/E, off-takes at different angles and much more. Tapping Saddles in sizes from DN200 to DN2000 with BSP threaded, male or female and NPT. Double outlets. We are also able to fabricate to specification Encapsulation collars from DN200 to DN2000 to pressure ratings depending on specifications. 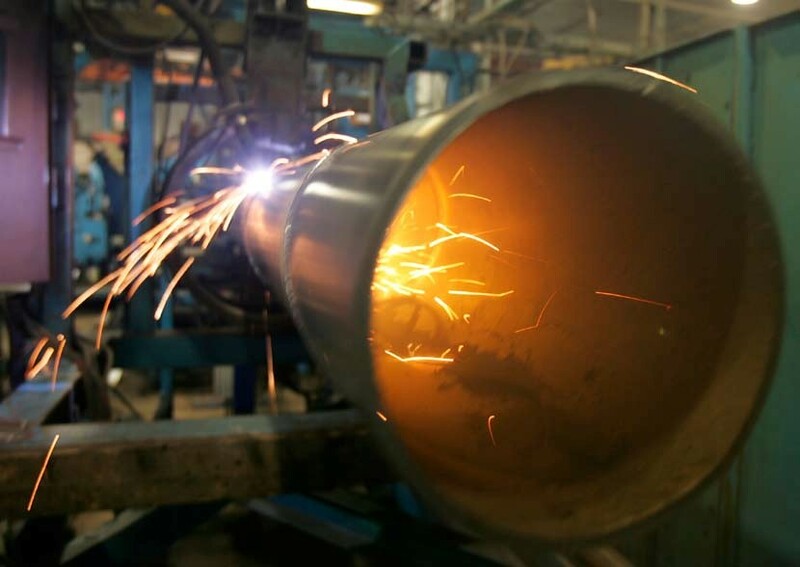 Cascade in partnership can offer Steel pipe fabricated to drawings for project work, Water Treatment, Fire Protection and many other applications. A few examples of the projects that can be undertaken are listed below. Technical information and Coating approvals are available to download opposite. For more information, prices please contact us directly.